fresh White & Black Truffles for the ultimate exotic taste. 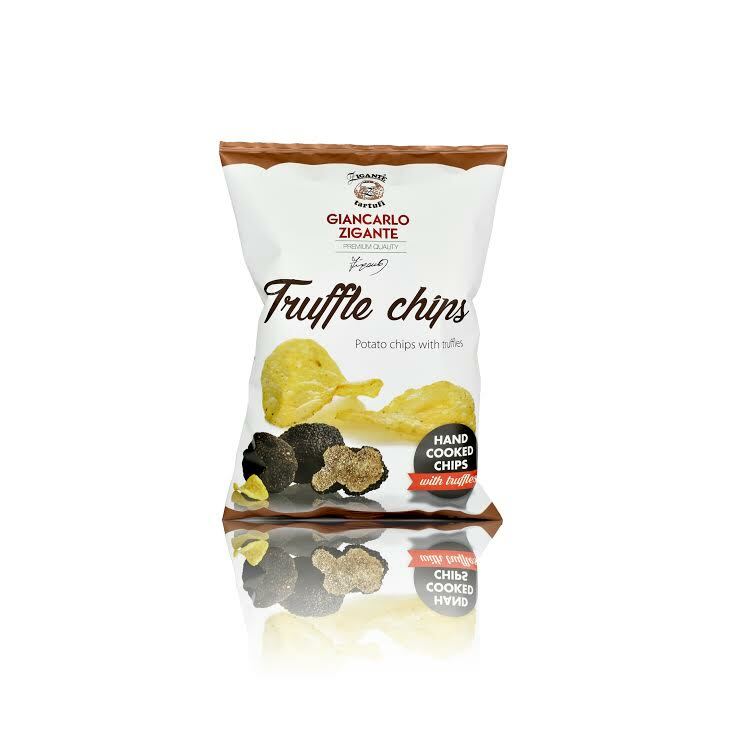 A deliciously crunchy gourmet chips. Pairs well with almost everything. Some will devour it more than others. Available in 50g & 150g. It is a vegetarian product that is made in a facility that also works with dairy, a variety of nuts, fruits and wheat. A subtle taste of a Black Truffle in the essence of Cacao. A true combination of what some regard as the ultimate treat after a long day. One bar is more than enough to assure the delicious you crave. Treat yourself or your significant others to an exotic treat of gourmet chocolates. An exotic aphrodisiac, the White Truffle is one of the rarest, most sought after, item of gourmet exotic foods in the world today. Giancarlo Zigante one year found the largest White Truffle in the world, so today he presents a White Truffle in Chocolate. Goddess & the Truffle present Everything Fresh Truffles!